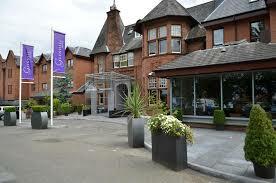 Our training course will take place this year at The Glynhill Hotel and Conference Centre, ideally located on the outskirts of Glasgow, with excellent motorway links only 200 yards away providing easy access to Glasgow Airport (under 5 minutes – not in flight path), and Glasgow City (under ten minutes). 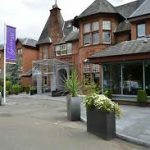 The hotel offers state of the art AV equipment, free on-site car parking and free unlimited Wi-Fi along with first-class catering. Our course is designed to instruct in the basic precepts of hypnosis as an adjunct to medical and dental practice. The pre-course, online material reduces costs and time away from home and allows the focus of the two face to face weekends to be on experiential learning, so candidates gain practice and confidence in performing hypnotic techniques. Cost for 2 modules will be £480*, to include all teas/coffees and Chef’s hot & cold buffet lunch. Please complete Hypnosis 2019 Application Form and post/scan to our office secretary, Angela. Do you have another question about the course? *Newly qualified or previously trained with BSMDH (Scotland) and looking for a refresher? Discounts may be available, please contact mail@bsmdhscotland.com for more information and to be placed on our waiting list. Please Note: Closing date for applications is Friday 20th September. Full fees are due to be paid by that date. If for any reason you cancel your course a refund will be given minus venue costs of £100 incurred.